Imagine your family leaving for an indefinite period of time without knowing where or why they’re going and how long they’ll be away. This is what many pets experience when their families leave. Without the ability to understand that they’ll return, pets become anxious—experiencing feelings of fear, depression and other taxing emotions. They communicate these feelings in a variety of ways, causing both their families, and themselves, a great deal of distress otherwise known as separation anxiety. 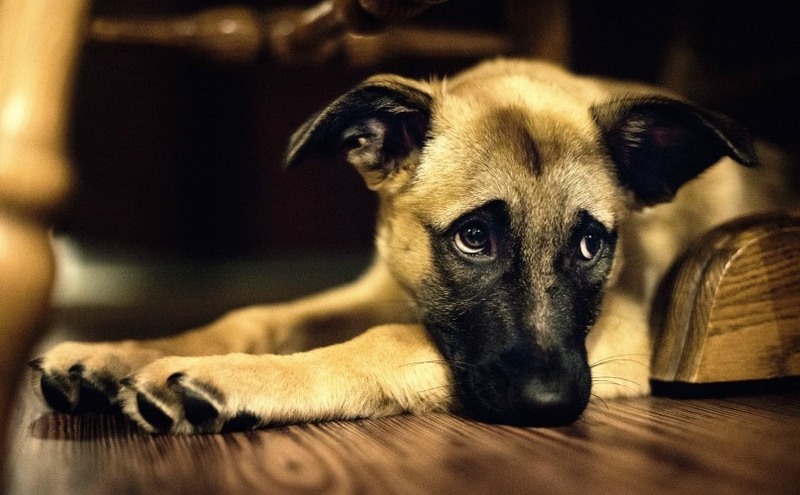 Separation anxiety syndrome is a distress response most common in dogs when they’re separated from the person or people they’re most attached to. Roughly 7-28 percent of domesticated dogs may experience some degree of separation anxiety, according to Leighanne Goyder, D.V.M., with Johnson Ranch Veterinary Clinic in Roseville. Dr. Goyder goes on to say that while it’s possible, it’s much less common in cats or other domesticated animals. While it’s not fully understood why some dogs experience separation anxiety and others don’t, it’s important for families to know that their dogs aren’t trying to punish them for being left alone; rather, their behavior is a panic response. “Some speculated causes include lack of appropriate pet-owner interactions, improper socialization to owner departure and absence, prolonged contact with humans without learning to be alone, traumatic episodes during owner absence, and cognitive decline,” Dr. Goyder says. Patti Hebert, R.V.T., with MarketPlace Veterinary Hospital in El Dorado Hills, notes that, “It is common practice to label any ‘home alone’ problems as separation anxiety. [Similar behaviors] may not be due to separation anxiety. These behaviors may be seen from boredom. Your pet may not be getting enough exercise, playtime, potty breaks or social contact.” It’s important to rule those possible causes out before concluding that your pet has separation anxiety. According to Dr. Goyder, barking, howling, destructive behavior and inappropriate elimination are the most common symptoms of separation anxiety. She adds that “specific events may trigger anxiety in an affected dog, like getting keys, putting on shoes or jackets, or packing the car, etc.” Really, any undesired behavior, especially those harmful to the dog or the home while you’re away, may be signs of separation anxiety syndrome. Oral medication. Some pets with separation anxiety syndrome may be prescribed oral medication to help decrease anxiety. Dr. Goyder recommends that families pair this option with behavior modification techniques for best results. DAP plug-in diffusers and collars. DAP is a synthetic version of a pheromone of nursing dogs. It has been found to pacify puppies and can be helpful in calming dogs in fearful, stressful or anxiety-ridden situations. 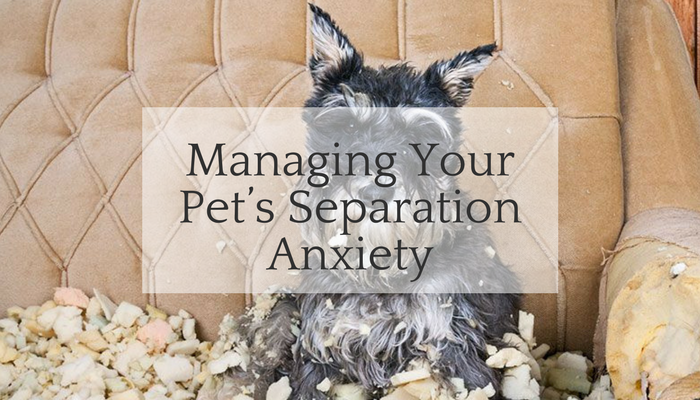 Living with a pet who suffers from separation anxiety syndrome can be extremely difficult, especially for the primary member of the family whom the pet is most attached to. For the well-being of the animal and his “people” family, it’s imperative to identify the problem then work to find an effective treatment.